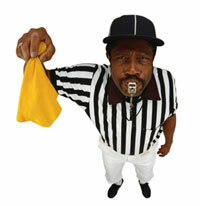 Google Penalty Flags are NO Fun! Have your rankings fallen off a cliff? Has the algorithmic zoo of Panda and Penguin decimated your traffic or dropped specific site pages to the end of Google’s search results? Did you receive an unnatural links notice or other manual action against your site? We can help! EMD Update Smacked your Site? Here’s how to Recover! Consultations involve a full initial email checklist audit, a 60-90 minute Skype video call discussing any and everything about your site, and a full detailed email follow-up with a prioritized action plan to correct identified issues. We also provide detailed assistance in crafting reconsideration requests, formatting disavow link files and IDENTIFYING links for pruning purposes. Google Penalty Analysis: compare your analytics and traffic profiles against recent reported algorithmic updates with Google. Determine if actions are manual or algorithmic in nature. Analytics & Webmaster Tools Review: how does Google see your site, what can your bounce rate, site speed and conversion metrics tell us about your site? Did you receive any manual notices from Google? Backlink Analysis: Do you have a natural or unnatural anchor text profile? Have you engaged in low-quality of SPLOG link building methods. Will link pruning of questionable links be necessary? SPAM Analysis: Is your site a quality result in the eyes of Google. We’ll conduct a detailed on-site audit to identify triggers. Content Analysis: Even a small amount of spammy, duplicated, or low-quality content can bring down an ENTIRE domain in the rankings. We’ll check your content with a fine tooth comb! Reconsideration Requests: Do you need to submit a reconsideration request? If so, we’ll help you write it! Disavow Link Files: Do you need to format and submit a disavow link file? If so, we’ll help you do it correctly the FIRST TIME so you can submit it and forget it! On-going SEO Support: All penalty consultation clients receive TWO weeks of follow-up email assistance. We’ll continue to assist you as needed with any follow-up issues! You’ll get all of this for $2000 and up and we’ll back it up with a 100% satisfaction guarantee. If you don’t feel this was the best consultation you’ve ever had, Casey will refund your money. No questions asked! And if you need some more convincing, check out the 50+ recommendations on Linkedin to those who’ve had a previous site audit or Google penalty consultation with Casey.